It has been reported by Dawn News that Sanaullah Haq, the Pakistani prisoner who was attacked in an India prison in Jammu last week, is brain dead, quoting doctors of the PGI Chandigarh on Sunday. Sanauulah was attacked in an Indian prison by a court-martialled Indian soldier. 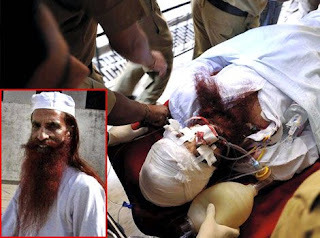 Doctors at PGI Chandigarh issued the latest report over the condition of Sanaullah Haq according to which the attacked prisoner was in a brain-dead state. The report was reportedly signed by DR SN Mathu Raya and other doctors of the team tending to the Pakistani prisoner.